As you prepare your heart for study, know that God desires to reveal Himself to you, and He has given you His Holy Spirit to guide you into truth. Before you open in prayer, consider Jeremiah 9:23-24. “This is what the Lord declares: ‘Let not the wise man boast of his wisdom or the strong man boast of his strength or the rich man boast of his riches, but let him who boasts boast about this: that he understands and knows Me, that I am the Lord, who exercises kindness, justice and righteousness on earth, for in these I delight,’ declares the Lord.” Pray for this understanding and knowledge of God with the Holy Spirit as your guide. According to Romans 1:2, the Gospel was something that God had promised and spoke about through the prophets throughout the Old Testament. Based on what you know about the Old Testament, what are some of the things God said to the world through the prophets about the coming of Jesus? Read Isaiah 53:1-12. This passage is most likely one of the passages of Scripture Paul was thinking of as he talked about the Gospel spoken of by the Old Testament prophets. Though Isaiah wrote hundreds of years before Jesus was born on the earth, it refers to the coming of the Savior who would one day make atonement for the sins of His people. Scan this passage and make a list of all the references you see that Jesus fulfilled in His time on this earth. What does it tell you about the heart of God for His people that He had planned Jesus arrival and ministry many years before Jesus actually came to the earth? STUDY NOTE: In the opening paragraph to his letter to the Romans, Paul makes it clear that this book is about the Gospel (or good news) in 1:1b (Paul was “set apart for the Gospel.”) In 1:3, we see that the Gospel is concerning the Son (Jesus). In verses 3-4, Paul gives a couple of reasons why Jesus is someone we should take seriously. The second reason Paul mentions for why we should take Jesus seriously is because of Jesus’ divine identity. Romans 1:4 is full of references to Jesus being God. What are some of the things you see in this verse that point to Jesus’ deity? In 1:4, Paul references Jesus’ resurrection from the dead. Paul wrote this just 25 years after Jesus’ resurrection. This made the original recipients of the letter people who could have somewhat easily verified the historical veracity of the empty tomb. If Jesus had NOT risen from the dead, it would have been fairly easy to disprove in 57 AD. Eye witnesses to his death were still alive and accessible. The grave site was still easy to find, and several people could have taken you there. However, Paul boldly proclaims the resurrection as a fact. Bolstered by the eye witness accounts of many who had also seen Jesus resurrected (including Paul himself who saw Jesus on the road to Damascus), Paul boldly proclaimed the authenticity of the good news by linking it to the empty tomb. What does this tell you about what Paul thought about the historicity of Jesus’ death and resurrection and its importance for the Christian life? Have you ever stopped to realize that your faith in God is not based on fairy tales but on history? Jesus indeed came to the earth. He really lived a perfect life. He really died on the cross for your sins. He really rose from the dead. If Jesus did not really do these things, then our faith is built on a myth or a lie. Have you ever stopped to consider that our faith is founded on truth God revealed in history? 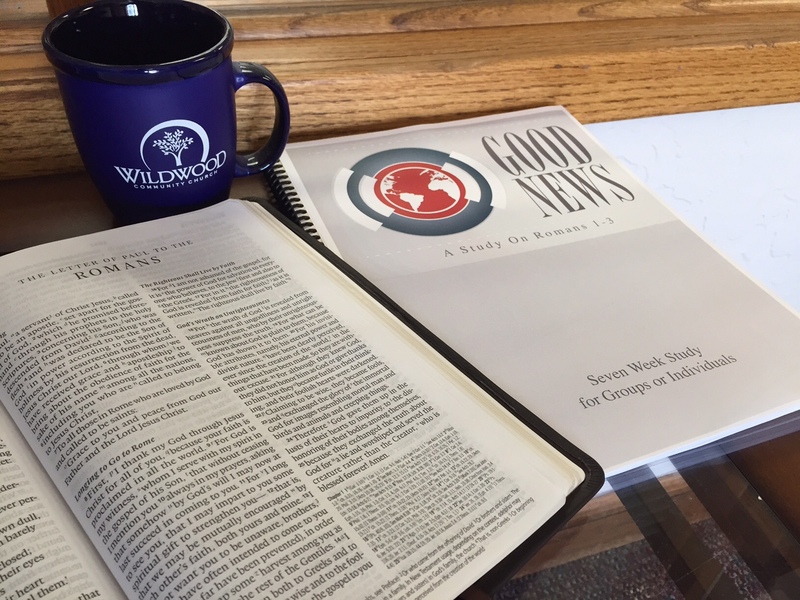 To access the entire “Good News” study, click here.